Do you need help turning food inspiration into big food ideas? thefoodpeople can work with your team to build a bespoke creative process that will help you come up with your next big food ideas. Invention and inspiration are vital ingredients of food innovation and that's what we will stimulate in your team. We have been where you are and we understand that every business is individual and has its own ambitions. We offer a truly unique, tailor-made service. By using chef workshops, role play and food safaris, bringing research to life and calling on the insight of external creatives, our love and knowledge of food and food ideation expertise will help your big food ideas to rise perfectly. 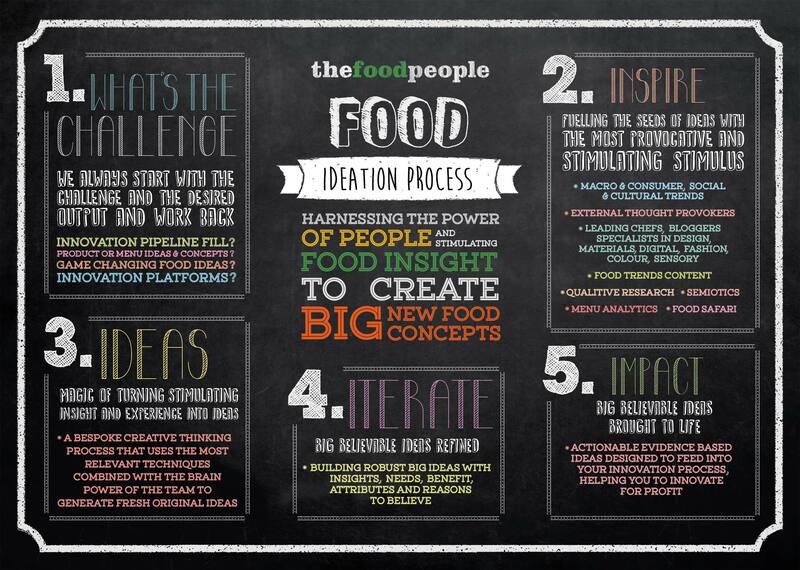 Imagine the big food ideas that you could think up with help from thefoodpeople.